Born on September 19, 1965 in Euclid, Ohio, but considers Needham, Massachusetts to be her hometown, Indian origin astronaut Sunita Lyn Williams headed for space as part of NASA’s 14th expedition to the International Space Station (ISS) on Sunday the 10 Dec. 2006. Williams (41) is on board the Soyuz rocket as a flight engineer. Sunita is the second American woman astronaut with Indian roots to be selected for a space mission by NASA. A B.S., Physical Science, U.S. Naval Academy, 1987 & M.S., Engineering Management, Florida Institute of Technology, 1995, Sunita selected by NASA in June 1998. Williams received her commission in the United States Navy in May 1987 as a Basic Diving Officer. She was assigned to Helicopter Combat Support Squadron 8 in Norfolk, Virginia, In September 1992 she was the Officer-in-Charge of an H-46 detachment sent to Miami, Florida for Hurricane Andrew Relief Operations onboard USS Sylvania. Williams was selected for United States Naval Test Pilot School as an Instructor in the Rotary Wing Department and the school’s Safety Officer. There she flew the UH-60, OH-6 and the OH-58. From there she was assigned to the USS Saipan (LHA-2), Norfolk, Virginia, as the Aircraft Handler and the Assistant Air Boss. Williams was deployed onboard USS Saipan when she was selected for the astronaut program. Earlier this year, she and two other astronauts were selected to serve as back-up crew for the International Space Station expedition. 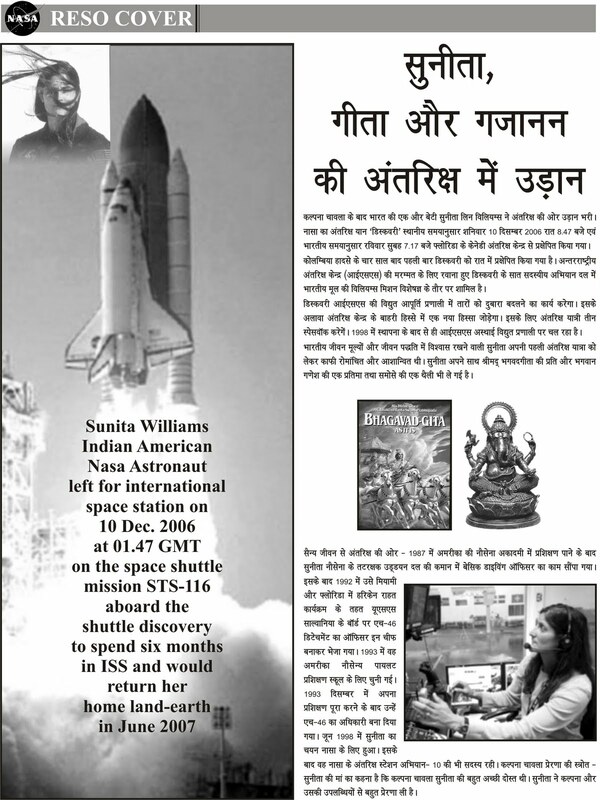 ill-fated Columbia mission resulted in the death of its crew with her more famous predecessor, Kalpana Chawla. But in spite of her memories of close friend Chawla, Sunita was optimistic and eager to take flight. She said she enjoyed every bit of the chills and thrills of her unusual vocation. Sunita has fond memories of India. “As a child, I looked upon India as a fantasy land, something out of Rudyard Kipling’s Jungle Book. I remember seeing many palaces of erstwhile maharajas. On my second trip I connected with a lot of my relatives,” she recalled in an interview. Her parents are Deepak Pandya and Bonnie Pandya, who reside in Falmouth, Massachusetts. Dr. Deepak Pandya is a famous neuroanatomist. In her current sojourn, Sunita will spend six months at the ISS till the summer of 2007. She will be the only one to be part of both Expedition 14 and 15. During her stay, she will assist the robotic team in installing solar array and take about three space walks, apart from carrying out a bunch of science experiments and major computer reconfiguration. Lopez-Alegria and Williams hooked up the permanent cooling system, covered an obsolete radiator that was retracted by remote control from the ground and stowed a fluid line that was connected to an ammonia reservoir. Williams and Curbeam rerouted power through station electrical channels 1 and 4. 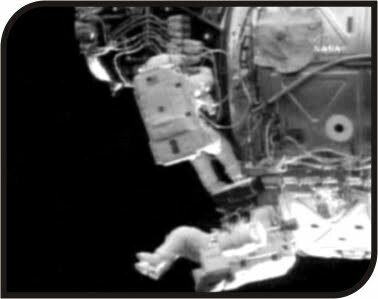 Rewiring done, Williams and Curbeam turned their attention to the installation of a robotic arm grapple fixture and the relocation of debris shield panels from the station’s interior to a storage point outside. They than moved on to other jobs ahead of schedule : removing a sun shade, photographing a solar array that will be retracted during space shuttle Atlantis’ mission next month and making electrical connections for a new system that will allow power from the station to be shared with a docked shuttle. Neil Armstrong couldn’t have imagined this 37 years ago – an astronaut having a friendly chat with common people from outer space. But for the first time in history, students and journalists in India made contact with a Nasa astronaut on the International Space Station for 10 minutes. The long-distance conversation, the culmination of more than two years of effort, the voice traveling at 17,000 mph and coming from straight overhead, took place at 10.20 pm sharp on 11 January. And it was none other than Indian American astronaut Sunita Williams who fielded the questions. “India looks so beautiful. We all know it is a land of many colors. So is it from outer space. The countryside is so beautiful. I could clearly see the green fields and the red mountains. 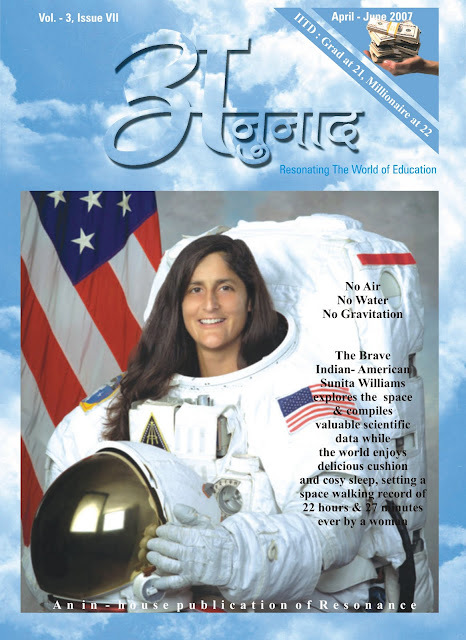 I have had the luxury of flying over India several times on my way to space,” Sunita said.